Mike and Free sat on the floor with their backs against the mirrored wall watching Tanta teach dance to the Gallente nobility. It was probably just coincidence that they also had a clear line of sight to both entries into the room and that there was enough space between them to allow easy movement if something happened. Probably. Tanta was circling and inspecting the Countess who stood still before her. “Tis all ’bout the attitude. Frame, poise and just pure . . . intent. You get dat an you be half way dere. You don’t get dat and then you juss learnin steps but not dance. Dance is more dan movement, more dan keepin time to da music. You wants to move somebody you gots ta put yer ‘eart in de art.” She circled again and then looked over to Mike and Free. Free straightened up a bit and shifted so the door was still in view and Mike was side on to her. She saw the change as he moved, normally he . . . well, swaggered would be the best term for it but as he came close to Tanta the movement changed to a smooth glide, his shoulders shifted back and his spine straightened. He also had not made a single quip which was, for him, nothing short of a miracle. Maybe there was a slight balance change but suddenly he loomed over the two women, almost threatening without moving. His expression had hardened even though there was still a smile on his face it was one of a predator. “Hmm?” Mike asked, eyes still on the door. Free met his eyes for a moment and then looked back to the door but she listened a bit more closely to Tanta. In the back of her mind she began to connect it not to dance but martial arts she had learned . . . and it all connected. Just a short one, and a small rl story for you. Both my daughters have done Karate. When the youngest was about 5 she went into her first Kumite (fighting an opponent at a tournament) She can out on the mat all smiles and waving at friends on the side, cute as a button and not that respectful of what was about to start. Then the ref barked out the first ‘ready’ signal and she went into a stance, smile gone, serious and almost growling, eyes focused on the opponent. Her intent was clear and she won her first match 5-0 all in very clean kicks that connected properly. Some rookies who play eve come in with the wrong intent or understanding of what the game is. They will not know that ship loss happens, that yes, other folks can and will kill you. I honestly had a guy surprised he was shot, he had ‘just been orbiting them in a 0.4 system”. . . . yeah. I may do a small commentary on the CSM winter summit minutes (soon™) but when I do I will be looking for intent, what was the CSM trying for and what was CCP trying to accomplish. It feels good to be back writing. 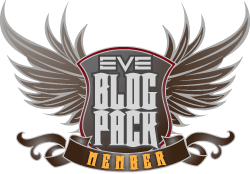 This entry was posted in Uncategorized and tagged eve online, Free, Rookie Help Channel, Tanta. Bookmark the permalink.